Get Stylish and Hilarious Baby Clothes at Kiddie Co.
* I received product to facilitate this review. No compensation was received. All opinions are my own. I have found a new site full of adorable onesies and tees for babies! Kiddie Co. is full of baby clothes that are custom made and not to mention hilarious! I love when my daughter has on a funny shirt and can make me or someone else smile. It can make her little personality shine through even more. Kiddie Co. has onesies from sizes 0-18 months and T-shirts from sizes 12 months- 4T. You can choose what color you want the onsie or tee to be as well as the print color so it can be custom made for your little one. Everything is $14.99 which is a pretty decent price. The quality is really great. I have washed the items I was sent for review and they held up great in the wash. They have sparkly writing on them and the sparkles didn’t get on any of the other clothes! Daylight Savings Time is right around the corner, can you believe it?!! That means that it is going to be getting darker and colder and as a mom, I want to keep my baby bundled and warm. 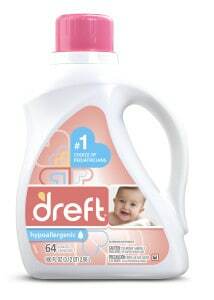 I know that I don’t have to worry about her skin getting irritated from all of those extra clothes because I use Dreft, the #1 baby laundry detergent choice of pediatricians to be gentle and hypoallergenic on baby’s skin. 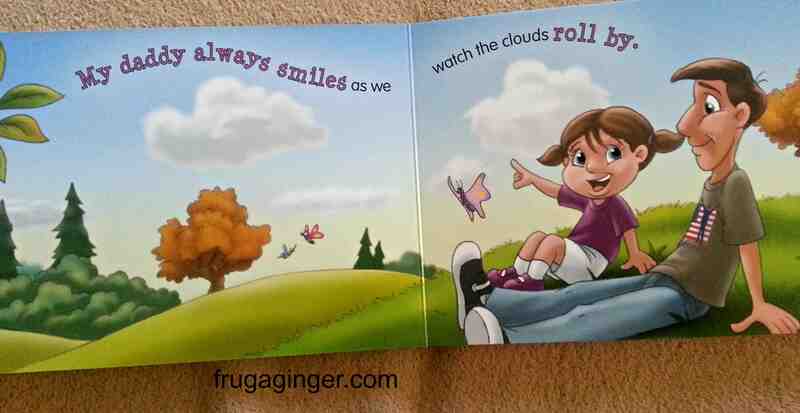 I was sent another book to review from Daddy & Co. called “My Daddy Smiles“. You can read my other reviews for Daddy & Co. here and here. I love the products from Daddy & Co. and this new book is no exception. This is a really cute board book for young children to share with their Daddy’s. 21 Bundles is another monthly subscription box just for babies and expectant mothers. They offer boxes tailored to your stage of pregnancy or baby’s age month. Each box contains only natural and organic products so you know everything will be safe for you and your little one. Each box is $39.99 per month and it is a great way to try out new products. I have worked with Daddy& Co. on several reviews and I am always impressed with their products. They have a brand new Daddy’s Health & Skincare line on their site. These items aren’t just for Daddy’s, they are for Mom and baby too! I had to give them a try with my little helper. The new Daddy’s Health & Skincare line includes Baby lotion, Baby bubble bath, and Baby shampoo & body wash. They come in 8 oz. bottles for $12.95. The bottles are a nice size and a little goes a long way. They come in two different scents: calming lavender and fragrance free. I will give anything a try that will get her calm before bedtime, so I chose to review the calming lavender.